Turnips are very low calorie root vegetables. Nonetheless, they are very good source of vitamins, minerals, fiber and anti-oxidants. 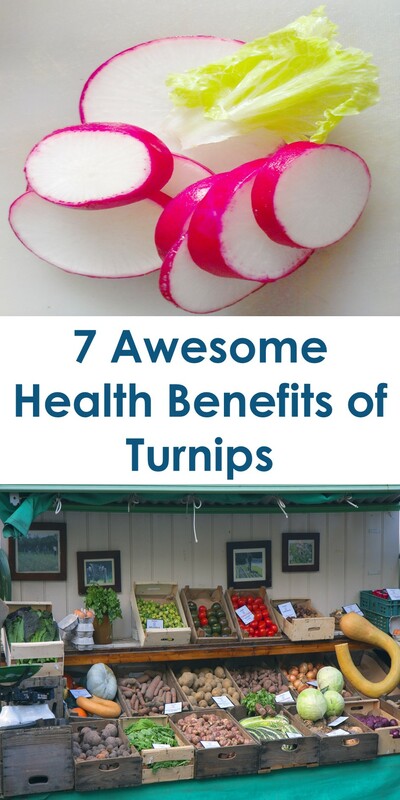 The turnip green tops contain even more vitamins and minerals than the roots contain. The green tops are good source of carotenoid, xanthin, lutein, vitamin C and vitamin A. Also, the leafy tops are an excellent source of vitamin K, folates, riboflavin, pyridoxine, pantothenic acid and thiamin.